meeting the demands of the future: Demographics, Scarcity of natural resources, Climate change, and Food waste. The report states that, although demand is continuously growing, by 2050 we will need to produce 70 percent more food. Meanwhile, agriculture's share of global GDP has shrunk to just 3 percent, one-third its contribution just decades ago. Roughly 800 million people worldwide suffer from hunger. And under a business-as-usual scenario, 8 percent of the world's population (or 650 million) will still be undernourished by 2030. The reality is that very little innovation has taken place in the industry of late; in any case, nothing to indicate that food scarcity and hunger will not be an issue in the coming decades. To meet these challenges will require a concerted effort by governments, investors, and innovative agricultural technologies. 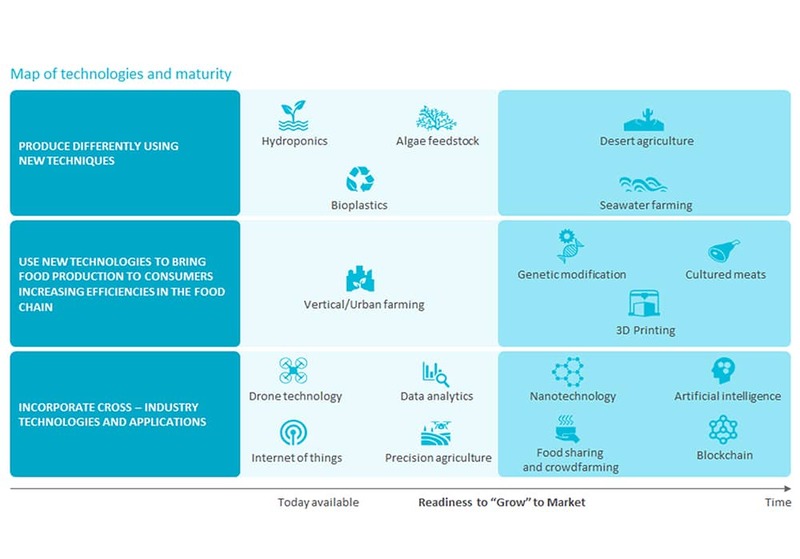 Agriculture 4.0 will no longer depend on applying water, fertilizers, and pesticides uniformly across entire fields. Instead, farmers will use the minimum quantities required and target very specific areas. 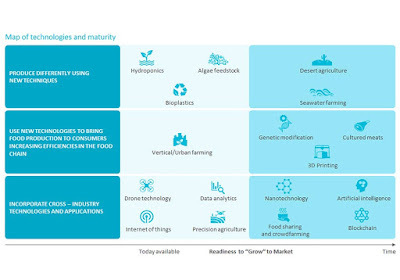 The report further states that farms and agricultural operations will have to be run very differently, primarily due to advancements in technology such as sensors, devices, machines, and information technology. Future agriculture will use sophisticated technologies such as robots, temperature and moisture sensors, aerial images, and GPS technology. These advanced devices and precision agriculture and robotic systems will allow farms to be more profitable, efficient, safe, and environmentally friendly. Don't forget to click the facebook like button below and subscribe to our blog for new updates.